THE PREMISE behind Allerpet is the removal of pet related allergens before they become airborne and have an opportunity to enter the environment of an allergic person. It is felt that cleansing an animal’s fur and skin will keep it sufficiently free of fel d 1, dander and other allergens as to cause the total environmental allergen load to fall within more acceptable levels. In university testing, Allerpet reduced Fel d 1 in house dust by 50% with weekly use. Further anecdotal testing indicates greater reduction in allergen levels with use very 3-4 days. THE PROBLEM was how to cleanse the animal’s fur and skin of these allergens and, at the same time, keep the alkaline pH balance and the natural protective oils and film in place. It was felt that a weekly cleansing of the animal was necessary to adequately reduce and maintain the allergens at an acceptable level. (This was later shown to be reasonably accurate.) Over a period of time, frequent bathing tends to dry out the fur and skin, resulting in a greater production of dander and flaking than would normally occur. Of prime importance was how to prevent the skin from being stripped of its natural lipid film and the fur of its protective oils. BATHING was not a viable option. It had its own inherent problems… the time, the effort, the turmoil, and realization that most patients would never follow thorough with it. An alternative method of care was needed that pet owners would use with a greater degree of regularity. SHEDDING. As dogs and cats progress from birth to old age, a notable change occurs in the quantity of dander and scale produced and circulated throughout the home. Puppies and kittens have very supple skins; they shed little dander and cause relatively few problems, even for animal allergic persons. Aging animals lose this suppleness and shed much more profusely (there is a dramatic difference in an animal at 2 months and at 2 years). This condition is intensified by the low relative humidity and infrequent air exchanges of today’s homes and apartments… frequently as little as one air change per hour. For the allergic person, the normal use of a coat conditioner to minimize this drying effect is thwarted by their oily nature which is predisposed to attract, collect and bond additional irritants almost instantaneously. 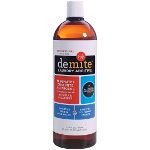 THE GOAL was to develop a product that was non-toxic and safe to use; would cleanse the animal of these allergens; would re-moisturize the fur and skin to minimize future accumulations of dander and scale; would replenish the stripped-out oils of the hair; could be applied conveniently without effort; and most importantly, would not leave any residue on the coat to either ingest or to attract additional allergens. ANECDOTAL TESTING of Allerpet commenced in April of 1985. The study lasted over three years and involved 168 individuals, all of whom were either allergic to their pets or had someone in their household who was. All individuals in the study told us that they were experiencing allergic reactions with varying degrees of discomfort. All had sought professional help at least once during the previous year and had either cats or dogs as their primary pet. Many also had rabbits, birds, or small furry animals as secondary pets. All of their statements were accepted at face value. Information gathering was casual, but well documented. All individuals were talked to every three to four weeks and their comments noted. THROUGHOUT THIS STUDY, A CONSISTENT 80 to 85 percent of those participating expressed a significant improvement in their ability to tolerate their pets. This high success rate is not inconsistent with many papers that have been published on the subject of aero-allergens over the last few years. Removal of the allergens from an animal before they have a chance to become airborne is the easiest, quickest and most certain way to reduce the environmental load of pet-related allergens. This is especially true of the fel d 1 allergen which remains airborne for such protracted periods of time. 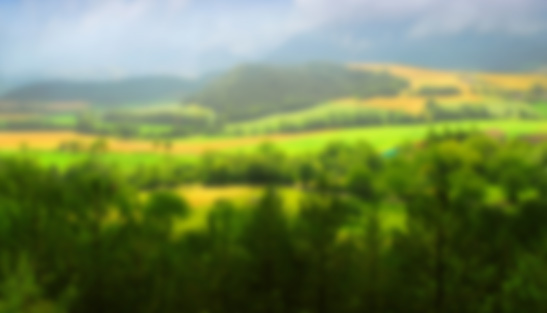 When the first steps to minimize the build-up of pet-related allergens in the environment are taken, Allerpet should be considered as an integral part of the solution. ALLERPET DIRECTIONS ARE EASY TO FOLLOW: For the first application, the pet should be brushed or combed to remove as much loose hair as possible, preferably by someone other than the allergic person. A washcloth should be lightly wetted (not saturated) with Allerpet and thoroughly wiped over the animal, both with and against the lay of the hair. Particular attention needs to be paid to the area surrounding the genitalia, the tail, and other area that the pet tends to self-clean excessively. If the pet is small enough, this procedure can be accomplished while it sits on a towel in the owner’s lap. It is not necessary for the animal to be saturated, just dampened to the skin. Generally, a once-a-week application should be sufficient for most individuals, but Allerpet may be used as often as necessary without any fear of adverse reactions. Allerpet® is non-toxic and completely safe. Birds should have their feathers misted every 2 or 3 days. Yes, some of them are used in shampoos and others in skin conditioning products, however, their function in Allerpet is of a completely different nature… as different as hydrogen and oxygen making either water or peroxide. WHY ARE THERE THREE VERSIONS OF ALLERPET? 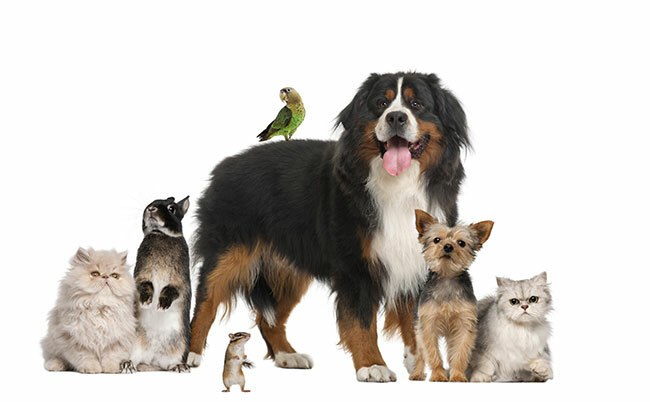 Most pet owners choose pet products that are made specifically for their pets. Allerpet recognizes that a one-size-fits-all product is possible (Allerpet Pet Dander Remover comes close to being that product), but it is not what most pet owners really want. Allerpet Cat Dander Remover has more of one of the allergen binders in it than either of the other versions. We have increased that binder to help cat owners remove the large volume of sticky cat dander that is found on the fur of most cats. Dogs produce less dander, so they require a less potent formula to help remove the dander on their fur. Allerpet Pet Dander Remover has more binder than Dog Dander Remover and less of it than Allerpet Cat Dander Remover, so families with several kinds of furry pets can purchase one product that can be used for all of their pets. Yes. A study was completed in the summer of 1994 with an abstract of it being presented at the annual meeting of the American Academy of Allergy and Immunology in New York in February of 1995. The study showed that Allerpet decreased the fel d 1 in carpet dust by 50% with just two weekly uses. This study was sponsored by Bayer AG of Leverkusen, Germany, manufacturer of Bayer aspirin, and was performed at Utrecht University in The Netherlands. You can read more about this study here. WAS THIS A CONTROLLED STUDY? The study was controlled from the standpoint that every step was planned, executed and notated under the scientific supervision of Eindhoven University. It was not controlled from the standpoint of being double-blinded. A double-blinded, comparative study may be performed at a future date. WHY DIDN’T YOU TEST ALLERPET AGAINST PLAIN WATER? We were looking for numerical determinations of the efficacy of Allerpet, not comparative results. The sole object of this study was to determine the reduction, if any, of fel d 1 in dust; from the fur of the animal; and in the air. WHY NOT JUST GIVE A BATH OR USE PLAIN WATER? A shampoo and water bath is of benefit, however, bathing an animal often enough to accommodate an allergy will frequently dry out the skin and fur, and leave more dander, scale and residue than originally existed. This is particularly true for most pet owners who really don’t know how to thoroughly rinse the shampoo from the animal and consequently leave a considerable amount of residue on the skin and fur. Bathing a cat presents problems for almost all cat owners. Most cannot and will not do it on a regular basis. Plain water is better than nothing, but it does not compare to using a product specifically designed for the purpose of removing allergens. WHAT HAPPENS TO THE fel d 1 COUNT AFTER A PERIOD OF USE? The allergen count tends to rise to its initial level in approximately a week’s time. The use of Allerpet Dander Remover on a weekly schedule will drop the count sufficiently to alleviate the allergy for about that same weekly period. There is no long term effect on the allergen count., either up or down. Application: A washcloth is lightly wetted with the Allerpet solution (45/55 ml) and the animal is wiped down, both with and against the lay of hair. It is not necessary, in fact it is not even desirable, that the animal be made more than just damp down to the skin.We recommend that this procedure should be performed once a week, however Allerpet may be safely used more than once a week if necessary. Chemistry: Because of the reactions of Allerpet with some assay techniques, including ELISA and RAST, the university feels that Allerpet encapsulates the fel d 1 which is then physically removed from the cat. Allerpet is completely safe for use around children or elderly adults. 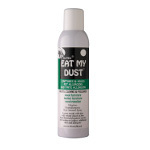 It is non-toxic and also completely safe for use on kittens, puppies and older animals. Oral, ocular, and dermal toxicity testing was completed by an independent testing laboratory. CAN ALLERPET® BE APPLIED WITH A PUMP SPRAYER? No, it is essential to cleanse the cats and dogs down to the skin. Using a sprayer will apply Allerpet only topically. It is necessary to use a microfiber cloth or washcloth as a vehicle, not only to wet and cleanse the animal, but as the medium to carry away the allergens from the skin and fur. *PLEASE NOTE: These links will take you to our DeMite Website in a new tab/window.